The foundations of Hausner Hard Chrome were built in Germany, where Wolfgang’s father Hans created and ran the largest chrome plating company in the country during World War II. After the war, Hans Hausner relocated his family to the United States and with Wolfgang’s help, built up his business again out of a small plant in Chicago. 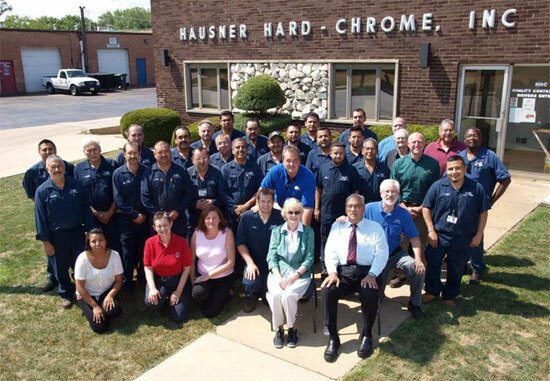 After Hans retired, Wolfgang went into business himself as Hausner Hard Chrome in 1969, with the help of a $5,000 loan from a business partner, by renting a 5,000-square-foot building in Elk Grove Village’s burgeoning industrial park. “He decided to leave behind the older buildings and the gridlock of the city, and become part of the forefront of a whole new industrial area,” says Jeff Hausner. Click here to see the full article in The Elk Grove Book.